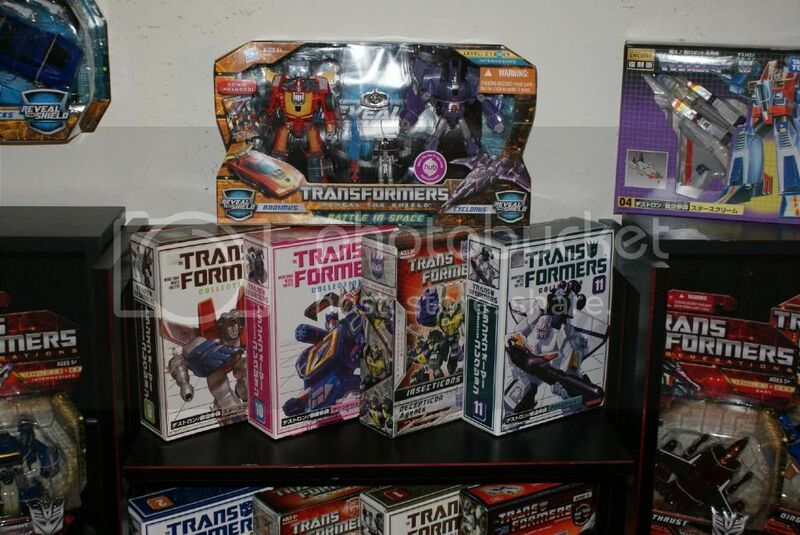 Growing up, my childhood revolved around Transformers... but as I grew older, I grew out of them. One day, when I was around 16, my friends and I decided to set up a little battle scene with our Transformers..... and pellet guns! I still regret that to this day... I would have a really nice collection! Anyways, I've decided to start collecting them again. 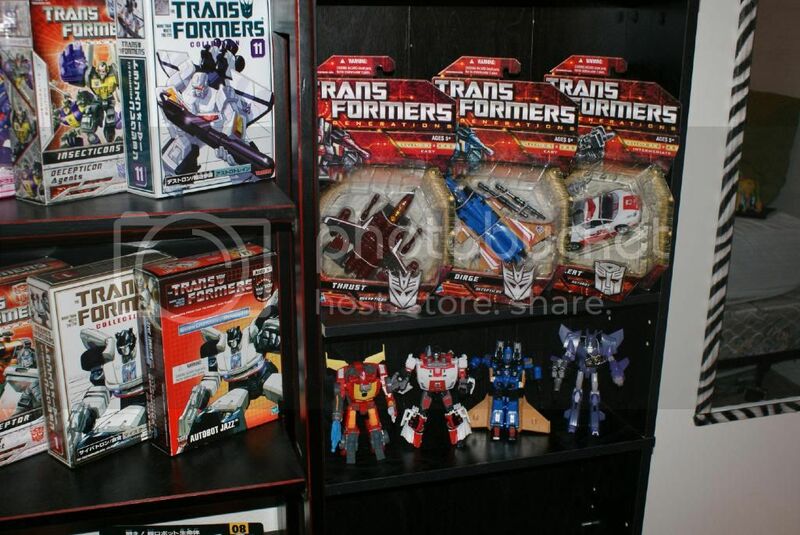 I bought my first one in Oct 2010, a Takara reissue of Starscream. Officer of the Seibertron Decepticon Alliance. Join us in Earth Wars! Very nice, and it's only in it's infancy! You've got a lot more self control than I do. I would have ripped into every one of those dudes by now! 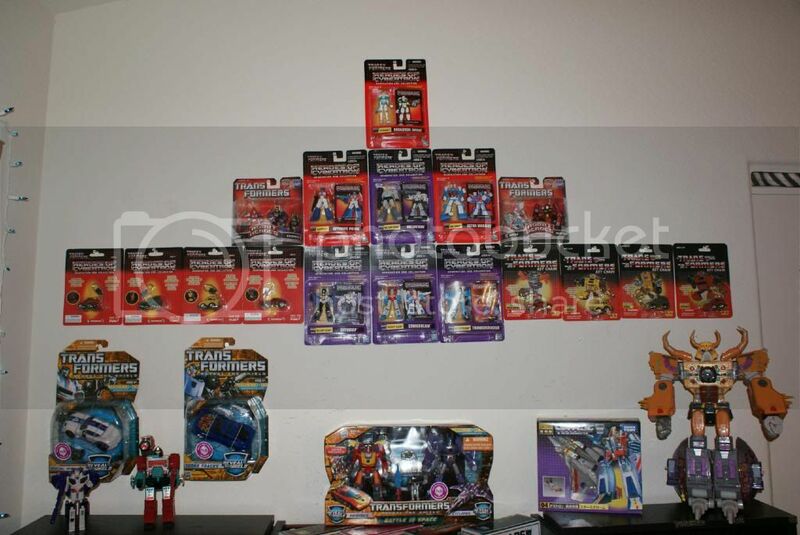 You do an awesome job of displaying your toys. The collection looks great. 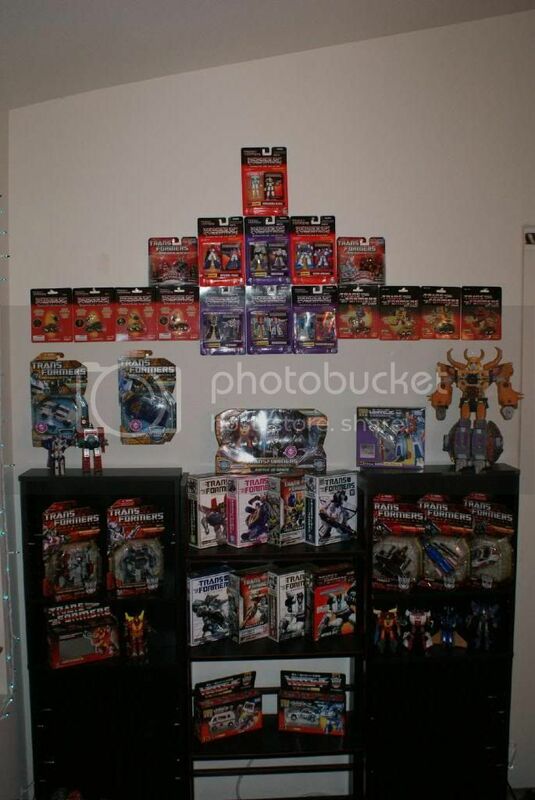 Motto: ""These fools worship Transformers!"" Great display and a very nice colloction this far. Looks like you've been busy the last few months. Thanks guys! 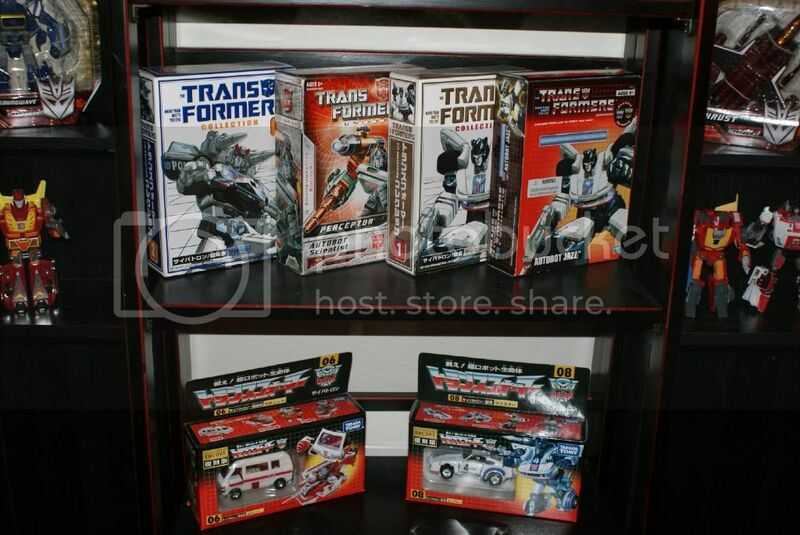 I'm focusing now on obtaining original G1 figures, loose or complete.... plus waiting for the new Generations & RTS figures. I'm taking a break from the re-issues for a bit. Nice. 3 months? Slammin' em down! Enjoy your ability to display with such design and balance. 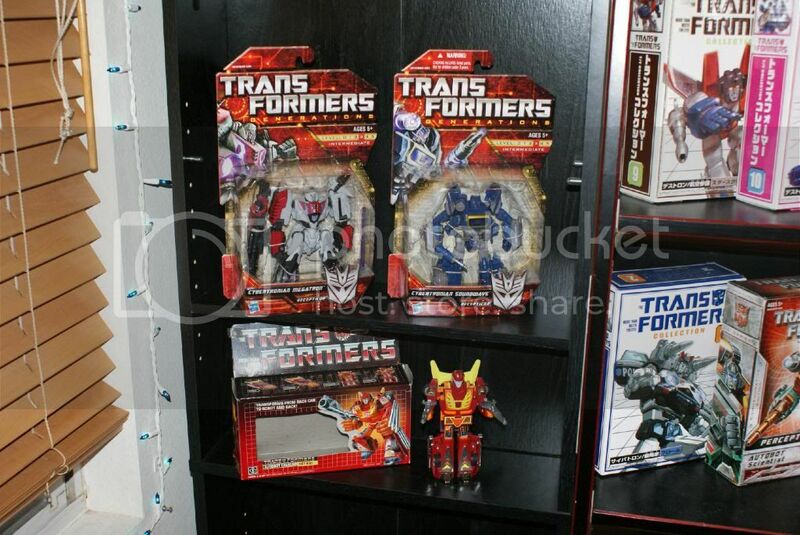 It looks so organized and each box and figure have room to be appreciated. If you move THAT fast, soon you will have the depressing satisfaction of having figures pushed so tightly together on each shelf you cannot tell where one ends and the next begins. Congrats on your awesome start to a neverending journey! Nice work for a just a short time. The ones in box on the wall..G1 right?..if so how did you find them in such great condition..I assume the web..
4,498 pages were recently viewed by 790 unique visitors. This page was viewed 1 times on Saturday, April 20th 2019 4:05am CDT. © 2019 Seibertron, Inc. DBA Seibertron.com. All Rights Reserved. Established June 2000. Seibertron.com is owned by Ryan Yzquierdo.